QReport is a smartphone based (Android / Apple iOS) data collection and reporting solution for all kinds of inspections, registration, and documentation including reports with image documentation and audio / speech sequences. The platform automatically organizes user, time, and GPS position data with pictures, sounds, dictation, and text in one document so that the risk of reporting errors is minimized. Reports are generated in a editable text document on the web, including audio files placed in the document so that further processing, if necessary, can be executed by another user or colleague. Besides the QReport app itself, the system is supported and complemented by a hosted software package (cloud solution), QMaster, where reporting, design and customization of inspections and reports can be made. There are currently no reviews of QReport. Contact Miracle Q-Inspect for pricing information. 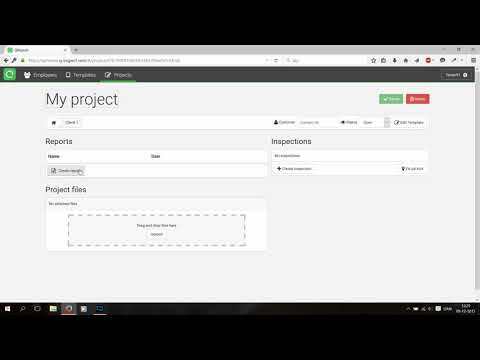 QReport works offline, allowing users to edit inspection templates even when there is no internet connection. Improve productivity by moving directly from inspection to final report, skipping pens, paper, folders, camera, and voice recorders. QReport offers uniform inspection, monitoring and reporting in a solution that can be adapted to all inspection types and processes. Flexible report design allows users to create a distinctive, professional look, logo and lay-out for reports. Simple integration with existing system solutions for added productivity boost. All data is stored in the hosted data center, available globally via the internet. Below are some frequently asked questions for QReport. Q. What type of pricing plans does QReport offer? Q. Who are the typical users of QReport? Q. What languages does QReport support? Q. Does QReport support mobile devices? Q. Does QReport offer an API? No, QReport does not have an API available. Q. What other apps does QReport integrate with? Q. What level of support does QReport offer?